At the end of the week, we resume everything that the cryptocommunity talked about over the past seven days. This week Ripple showed unprecedented growth in 2018, unknown hacked Zaif, etc. Litecoin founder, Charlie Lee, stated that "bad journalism is thriving in crypto", referring to the loud headline of one of the media, who presented his Litecoin sale as a "dump". Then Lee jokingly said that he was "glad that he threw away" his LTC, otherwise he would have to look for another job and he could not give all day to his offspring or help the Litecoin Foundation. The journalist completely distorted this comment. Lee's wanted to continue working on the project without participating in price speculation, and it seemed to him that selling savings in Litecoin would really prevent a conflict of interest. In an interview with CNBC at a summit in Singapore, the chairman of the Commodity Futures Trading Commission (CFTC), Christopher Giancarlo, said he was in favor of a softer approach to regulating cryptocurrency, so as not to limit their development. Giancarlo compared cryptocurrencies to the Internet, which, he said, was able to develop due to the fact that regulators sought not to harm him. 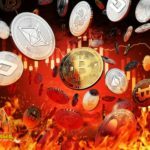 iBankCrypto, an analyst with years of experience in stock markets and a consultant in the field of crypto currency, believes that bitcoin has room for further decline: the remainder of September looks very worrying. However, another miracle can happen. Diar researchers found that more than 55% of all bitcoins are under the control of so-called "whales." Each of these giants of the cryptocurrency market holds more than 200 bitcoins in their wallets worth almost $ 1.3 million. 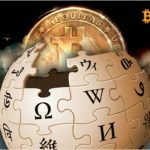 And the researchers note that about a third of the total number of coins held by "whales" was practically not used for transactions after purchase. China published a monthly blockchain rating. Cryptocurrency EOS continues to be number one, while bitcoin dropped to 16th position. The rating publish for the sixth month. The assessment based on criteria such as the parameters of the underlying technology, scope and creativity (innovation). According to a recent study conducted by Greenwich Associates, a global leader in the analysis of quality of service and consulting services, 72% of institutional investors believe that cryptocurrencies will have a big future. Experts interviewed 12 heads of financial institutions working in Asia, North America and Europe. Trader Dennis Salström draws attention to the fact that Bank of America charges $ 30 for outgoing domestic bank transfers and $ 35 for outgoing international transfers in foreign currency. And this is about 300 times more expensive than shipping bitcoin-transactions, while Fedwire's real-time money transfer system from the Fed allows banks to charge only $ 0.25 per transaction. A month ago, a study on Tether (USDT) was published, whose authors tried to prove that stablecoin was used to manipulate the price of bitcoin and other cryptocurrency. However, the new research does not support this statement and presents new arguments. Cryptocurrency Ripple, this week became the unconditional market leader amid news of a partnership with Saudi Arabia's largest commercial bank National Commercial Bank. The credit institution will use the decentralized Ripple network to transfer data with other banks. In addition to the transfer of information, National Commercial Bank will be able to transfer its clients' funds through RippleNet anywhere in the world. Also Ripple plans to present in October its new product to speed up the banking sector operation called xRapid. In connection with the unprecedented growth this year, TheNextWeb prepared a material on why Ripple could become "the next bitcoin". For a month, Ethereum hashrate has decreased from 294 TH/s to 246 TH/s per second - the level that was observed in February 2018. This is probably the biggest reduction of hashrate in the last year. Ethereum mining has become unprofitable for many miners. This is due to the fact that over the last month the price of the air fares has dropped significantly, from $ 400 to a minimum of $ 167, before slightly improving - to $ 220. Ethereum creator, Vitalik Buterin, in his Twitter presented the project Lighthouse - an open source Ethereum 2.0 client written in the programming language Rust. According to the developers' plans, Ethereum 2.0 will be a multi-level, decentralized system with more capacity than the existing one, while maintaining a balance between decentralization and security. TRON cryptocurrency development team burned the fifth set of TRX tokens. 4.917 billion coins burned on September 13, all of them were in compliance with the ERC20 standard. The tokens eliminated in the form of their sending to a special address, from which it is impossible to receive or transfer these funds anywhere else. This scheme of asset destruction guarantees the process of irretrievable liquidation of coins and maintenance of stable operation of the blockchain-network. Tezos Foundation on September 17 formally launched mainnet of its own cryptocurrency. According to supporters of the launch of the platform, the number of network users should now grow by several times. The upcoming update calls into question the survival of Bitcoin Cash. The proposed update is promoted by the Bitcoin ABC team, which produces software that is used by many site operators. The mining giant Bitmain also supports future changes, but not all of the community of miners are pleased with this update. Dash announced the launch of a beta version of the new Dash Text cryptocurrency wallet. The main advantage of this product was the ability to send money via SMS. Swiss startup Eidoo launched stablecoin. A coin called Ekon will be linked to gold - one gram per ERC20 token. Precious metal will be in the company's storehouse, and everyone can see it. Japan FSA announced that 160 companies want to receive the status of cryptocurrency exchange. Recently, the regulator reviewed applications from 16 companies, which meanwhile were allowed to provide services for cryptocurrency trading. Of these, only three were able to pass the test. Binance exchange plans to launch a trading platform in Singapore for operations with fiat and cryptocurrencies. At the conference in Singapore, Binance CEO, Changpeng Zhao, said that the company sets a goal to consolidate in all promising markets. IronX exchange is the new joint venture of the global online broker IronFX Group and EmurgoHK, the creator of the blockchain Cardano, - announced that it received a license from the Estonian Financial Intelligence Agency (FIU). Thanks to this license, IronX will be able to function as a fully adjustable exchange of digital currencies. It will become one of the first companies in Europe, seeking to establish an industry standard in the conduct of the cryptocurrency business. 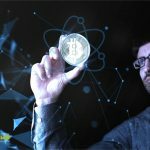 The former top manager of SpaceX, Joshua Greenwald, announced the launch of its own crypto exchange. Now Greenwald leads the company LXDX, which provides products for the exchange sphere. Users of the new trading platform will be everyone, including small players. The terms of trade will fully comply with measures to combat money-laundering through digital assets. Greenwald has not yet specified which digital currencies can be traded on its platform. 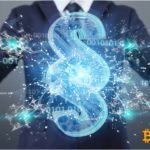 Coinbase continues to attract specialists who previously held high positions in large technology companies. So, the new employee was Michael Lee, who will take up the position of vice president for data at Coinbase. Lee spent the last seven years on LinkedIn as the head of analytics and data science. The press center of the cryptocurrency exchange Poloniex announced the forthcoming delisting of a group of little-known digital assets. On September 18, a 42-page report of the Attorney General of New York, Barbara Underwood, about cryptocurrency exchanges operating was published. The report says that several cryptocurrency exchanges are subject to conflicts of interest, and their clients have lower guarantees than traditional financial markets and may be victims of market manipulation. According to the report, three crypto-exchanges (Binance, Kraken and Gate.io) can work illegally in the state. The People's Bank of China, which acts as a financial regulator, has issued another notice of the risks of cryptocurrency investments. The Central Bank issued a statement urging Chinese private and corporate investors not to yield to promises of huge revenues from participation in cryptocurrency projects. This time, the notification was issued by the Shanghai office of the Central Bank of China. Government officials and representatives of major cryptocurrency companies, led by Congressman Jason Seam, create Taiwan Crypto Blockchain Self-Regulatory Organization (TCBSRO), designed to establish standards and approve industrial practices. According to the Monetary Authority of Singapore, which acts as a financial regulator, transactions with tokens can not be regulated in accordance with the provisions of the Securities Act. Therefore, a separate law will be adopted to regulate cryptocurrency transactions. The Venezuelan authorities are planning to use their state cryptocurrency in international trade. The World Economic Forum (WEF) Foundation is increasingly involved in programs aimed at solving global environmental problems. In its last report, published on September 14, the Forum identified 65 cases of possible use of blockchain technology. Data provided by Esticast Research and Consulting indicate that by 2024 the global blockchain market could grow to $ 10 billion. In 2016, it estimated at $ 26.1 million. The industry will grow over the next five years; the aggregate average annual growth rate (CAGR) will be 60.8%. Although the sector of public blockchain will continue to grow exponentially, private blockchains will begin to dominate the market: they will account for more than 50%. The telecommunications company LG UPlus will launch a system of international payments based on the blockchain. The system has created in partnership with the Japanese company SoftBank, as well as with American TBCASoft and Taiwanese Far EasTone Telecommunications. The new payment system will provide an opportunity to make transactions through the networks of telecommunications operators. The command of the Navy's Air Force (NAVAIR), providing material support to aircraft and the airborne weapon system for the fleet, published a press release on September 21, which reported that it is studying blockchain. On September 20, the Japanese licensed cryptocurrency exchange Zaif announced the loss of 6.7 billion yen (about $ 60 million) in the cryptocurrency as a result of hacking. Immediately after the publication of the official statement of the Zaif exchange about the theft of funds, bitcoin began to fall rapidly in value. The coin collapsed to $ 6,100, but then it became more expensive, as almost at all major sites investors rushed to buy this asset. After the news of the next robbery of the crypto exchange in Japan, the country's police published figures indicating an increase in the number of such episodes this year. Cybereason, an American cybersecurity company, reported that its customers affected by the Wannamine program. The latter managed to quickly infect more than 1,000 machines in a network of an unnamed international company. According to the representative of Cybereason, Amir Serper, Wannamine penetrates into the computer system through vulnerabilities in the SMB protocol. Then the software "spreads over the network, increasing efficiency and getting the ability to run arbitrary code on the maximum number of machines." The European Union Police Service published a report for the current year, in which one of the main topics was the use of cybercriminal to finance their operations. The authors note that recently cybercriminals are more likely to prefer Zcash and Monero. The main reason is the increased protection of confidentiality of these altcoyins. However, as stated in Europol's report, law enforcement agencies continue to face the most bit of bitcoin during investigations. On September 18, the newest version of bitcoin software Bitcoin Core 0.16.3 was released. It eliminates the critical double spending vulnerability that can cause all Bitcoin Core versions. Bitcoin Core is a software purse used by 94% of all bitcoins, and therefore updating to the latest version is important for the entire main cryptocurrency network. British football clubs "Newcastle United" and "Cardiff City" plan to attract investment by issuing their own cryptocurrency. Due to the raised capital, the club management plans to solve financial problems and hire new players to increase the competitiveness of teams in the British football championship. © 2018 bit.news | queries 229, for 0.448 sec.